A National Book Awards Longlist Selection" "A "New York Times" and "Washington Post" bestseller A story of the transcendent power of love in wartime, "A Constellation of Vital Phenomena" is a work of sweeping breadth, profound compassion, and lasting significance. Two doctors risk everything to save the life of a hunted child in this majestic debut about love, loss, and the unexpected ties that bind us together. On the morning after the Feds burned down her house and took her father, Havaa woke from dreams of sea anemones. Havaa, eight years old, hides in the woods and watches the blaze until her neighbor, Akhmed, discovers her sitting in the snow. Akhmed knows getting involved means risking his life, and there is no safe place to hide a child in a village where informers will do anything for a loaf of bread, but for reasons of his own, he sneaks her through the forest to the one place he thinks she might be safe: an abandoned hospital where the sole remaining doctor, Sonja Rabina, treats the wounded. Though Sonja protests that her hospital is not an orphanage, Akhmed convinces her to keep Havaa for a trial, and over the course of five extraordinary days, Sonja's world will shift on its axis and reveal the intricate pattern of connections that weaves together the pasts of these three unlikely companions and unexpectedly decides their fate. 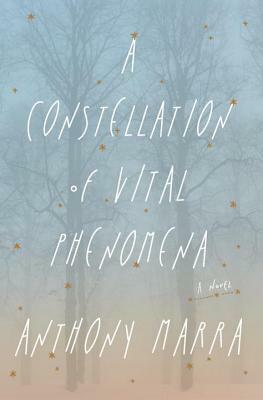 ANTHONY MARRA is the author of "A Constellation of Vital Phenomena" (2013), which won the National Book Critics Circle s inaugural John Leonard Prize, the Anisfield-Wolf Book Award in fiction, the Barnes and Noble Discover Award, and appeared on over twenty year-end lists. Marra s novel was a National Book Award long list selection as well as a finalist for the Dayton Literary Peace Prize and France s Prix Medicis. He received an MFA from the Iowa Writers Workshop and was a Stegner Fellow at Stanford University, where he teaches as the Jones Lecturer in Fiction. He has lived and studied in Eastern Europe, and now resides in Oakland, California. His story collection, "The Tsar of Love and Techno," is forthcoming from Hogarth (Fall 2015). Visit http: //anthonymarra.net/"